Help the Autism Awareness Care and Training Centre in Kokomlemle to reach its goal by inviting your friends and family to "Like" the Vodafone Ghana Fundraising drive in support of the Centre in Kokomlemle. 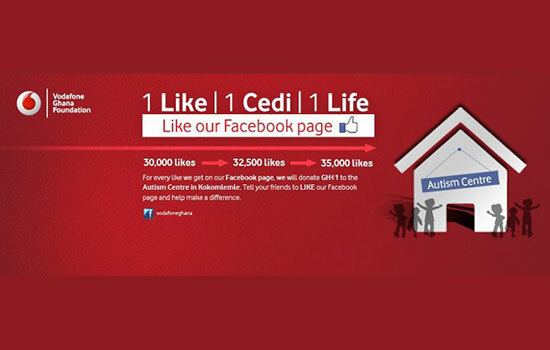 For every like on Vodafone Ghana Facebook Page, GH�1 would be donated to the Autism Centre. Autism is a disorder of neural development characterized by impaired social interaction and communication, and by restricted and repetitive behaviour. The diagnostic criteria require that symptoms become apparent before a child is three years old. Autism affects information processing in the brain by altering how nerve cells and their synapses connect and organize; how this occurs is not well understood. It is one of three recognized disorders in the autism spectrum (ASDs), the other two being Asperger syndrome, which lacks delays in cognitive development and language, and pervasive developmental disorder. Parents usually notice signs in the first two years of their child's life. The signs usually develop gradually, but some children with autism first develop more normally and then regress. Early behavioural or cognitive intervention can help children with autism gain self-care, social, and communication skills. Although there is no known cure, there have been a few reported cases of children who recovered. Not many children with autism live independently after reaching adulthood, though some become successful. If you have not liked already the Vodafone Ghana Fundraising drive in support of the Autism Centre then please do so now. Instructions on how to "Like"
2. Log into the page with your Facebook account email address and password. 4. Go to the one at the left corner and Click on the "Like" tab located just below that banner. Thank you for supporting this noble cause. On 21st August, 2012, the United Nations Office of Legal Affairs announced the completion of Ghana's ratification process of the Convention on the Rights of Persons with Disabilities. Ghana became the 119th country in the world and the 32nd country in Africa to ratify the Convention, a landmark international treaty that mandates the protection and promotion of human rights for the more than 1 billion people with disabilities worldwide. While Ghana was one of the first countries to sign the Convention on the Rights of Persons with Disabilities, in March 2007, it has taken the government more than five years to complete the ratification process. During this delay, persons with disabilities, and especially persons with intellectual disabilities have continued to experience severe violations of their human rights. Ratification of the convention is therefore an important first step to ensuring that persons with intellectual disabilities will be treated as equal citizens with equal rights. Ghana now needs to adapt its laws and practices to allow the promises of the convention to become a reality. A lot of work still needs to be done to ensure the participation of persons with intellectual disabilities in our communities as they face abuses ranging from exclusion to cruel and discriminatory treatment. Confinement in homes and institutions is still very common for them in Ghana. Now that Ghana has ratified the Convention on the rights of persons with disabilities, it should work to end these abuses and ensure access to education, employment, promote living independently and being included in the community and all other services for persons with intellectual disabilities. Can you imagine anyone spending 16 years in a basket in a small room? Mawunya not only imagines it but lives it daily. She has spent her entire life in a basket because she has both physical and intellectual disabilities. Mawunya has all the hopes and dreams of any other 16 year old. Her parents are too old to carry her around and have had no information on how to help her. Mawunya�s life is about to change: Kekeli Foundation in Ho has secured a place for her at school starting September, arranged transport and found a tutor to help her prepare. Good luck Mawunya and well done Kekeli Foundation. 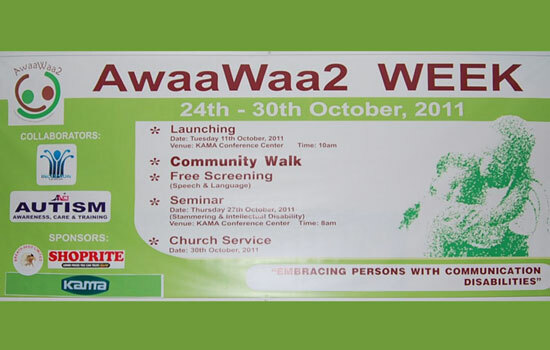 AwaaWaa2 in collaboration with Inclusion Ghana and Autism Awareness Care and Training (AACT) are pulling together the programme for the much anticipated annual Awaawaa2 week to be held from the 24th to 30th October in Accra (venue yet to be agreed). Mark your calendar now!! Special to this year�s activities lined up is the introduction of the Parents Forum, a platform for parents and families of persons with communication/intellectual disabilities to share experiences of pregnancy, birth, development, services and their fears and hopes for the future. The forum, which is the main focus of the week�s celebration, will bring together professionals and practitioners in the field of Communication / Intellectual Disability. Inclusion Ghana organised for its members, a training on Legislation and how to set up a Parents Self Help Group from the 7th - 8th August at the Catters Hotel in Accra. 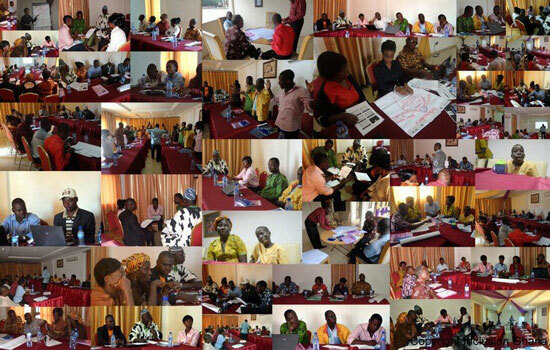 In all, twenty two delegates representing parents and members from Inclusion Ghana assembled for the training. The Legislation training updated participants on their knowledge of the legal framework relating to support for persons with intellectual difficulties (PWIDs) and understanding of what the national and international policies are in relation to PWIDs. 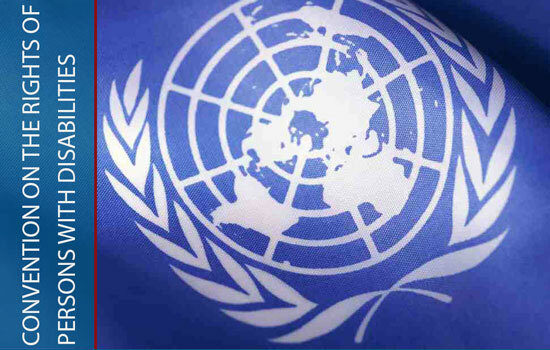 More emphasis was laid on the United Nations Conventions on the Rights of Persons with Disabilities and the Persons with Disability Law (ACT 715). It is hoped that the participants would use the learning acquired from the training in their advocacy work. The second day focused on helping participants to develop skills in starting and running a Parents Self Help Group. The parents self help groups are about parents of children with intellectual disability coming together to share experiences, difficulties and successes. Participants brainstormed about potential challenges of running the groups and agreed on best solutions of overcoming those challenges. Positive feedback was also received and some participants thought that future trainings should be longer as there is a lot of information to take in. Thank you to everyone who attended and made this training a success. If you are interested in setting up a Parents Self Help Group in your area and need some assistance, please contact Inclusion Ghana for help!